There are plenty of natural remedies for mouth sores that you can choose from but first, you should be sure that what you have is a common mouth ulcer (everyone gets them so you should be familiar with the symptoms) and not something more serious. Mouth sores can be caused by a number of different things. Some common causes are digestive problems, food hypersensitivity, chemical irritation, tobacco abuse, nutritional deficiencies, particularly vitamin B12, vitamin C and anemia etc. One of the causes that most people can relate to, is accidentally biting your lip, or the inside of your cheek, or tongue. The irritation can turn into a mouth ulcer if you’re not careful. If you’re wearing dentures and they become uncomfortable, the irritation may cause mouth sores. Other factors such as menstruation and puberty related hormonal changes, constant stress or other hereditary factors can also be involved. 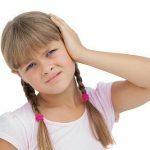 In my opinion, natural remedies for mouth sores are preferable to prescribed medications, firstly because they are free of potentially harmful chemicals, but also for the simple reason that you probably already have some of these ingredients in your kitchen cupboard – so why pay for something else? Dissolve a teaspoon of salt into a cup of hot water and swish over the sore area. This really works!! Do it after meals and before bed. Salt is a natural antiseptic and healer.Alternatively, place some salt directly on the mouth sore. It will sting a lot for the first minute or two. However, once the sting has passed you’ll notice that the affected area is slightly numb and you won’t feel the sore anymore. But the effect only lasts temporarily for a couple of hours. When the sore starts to hurt again, you’ll have to apply salt again. Gargling alternately with hot and chilled water is one of the simplest natural remedies for mouth sores. Fresh coconut milk also serves as a good home remedy. Simply gargle with this milk at least three to four times in a day to heal mouth ulcers naturally. Applying a mixture of one teaspoon of glycerine and a pinch of turmeric powder is one of the best natural home remedies to use for mouth ulcers in children. Using peppermint oil on the affected area helps to reduce the pain and discomfort associated with mouth ulcers. Peppermint oil can also be used in combination with glycerine. Gargling with a tea made from coriander seeds is one of the most popular natural natural remedies for mouth sores.To prepare this home remedy, boil one teaspoon of coriander seeds in a cup of water and swish the cooled solution in your mouth 3-4 times per day. 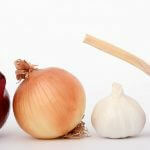 Continue this home remedy till the condition is cured completely. 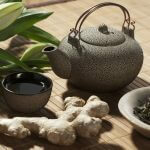 Prepare a fenugreek tea by boiling a cup of fenugreek leaves in two cups of water. Use a covered container for preparing this solution. Finally, strain the mixture and use it as a gargle two to three times in a day. Gargling with tomato juice about three to four times in a day is a valuable natural remedy for mouth sores. Chewing about five or six basil leaves and then sipping some water is highly beneficial in reducing and soothing mouth ulcers. Follow this therapy five to six times per day until the ulcers in the mouth disappear.Similarly, chewing together 2-3 guava leaves and some catechu is one of the most effective natural remedies for mouth sores. Catechu can also be used in combination with lemon skin. Use a solution prepared from hydrogen peroxide, baking sods, salt and water as a homemade gargle. 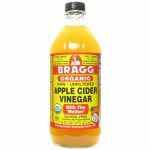 This has great healing properites for removing mouth ulcers. Prepare a paste of powdered root bark of Indian Gooseberry and some honey. 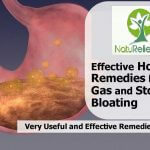 Apply this mixture on the affected area to get rid of this problem and provide quick relief. Apply honey to the affected area as many times as possible. When you apply honey, the affected area will start letting out a kind of liquid (which will start mixing with saliva), keeping spitting this out. 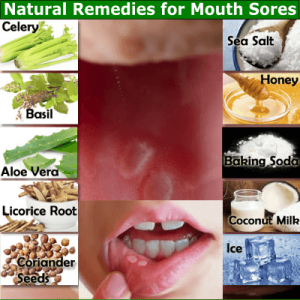 The above natural remedies for mouth sores have been sourced from various places. Some are recommended by natural therapists while others are from contributions by those who have found them useful. Hopefully, you will find something here that appeals to you.